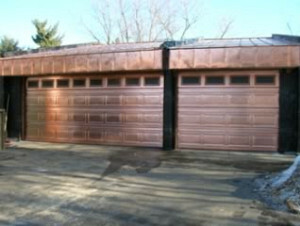 Copper garage doors are not your everyday garage door type. 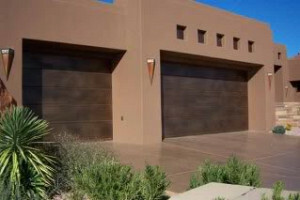 But as their beauty and durability become increasingly well publicized across the United States, more and more homeowners are choosing this beautiful, unique garage door material. Copper is one of the most sustainable and efficient building materials, as it comprises mostly recycled materials according to the Center for Resourceful Building Technology (CRBT). Part of copper's amazing longevity is due to its natural patina. 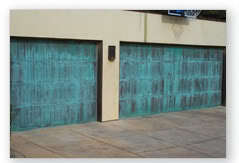 Copper develops a rich patina, or surface film, over many years due to oxidation from exposure to the elements. (One of the most famous examples of copper patination is the Statue of Liberty, which was originally reddish brown in color.) 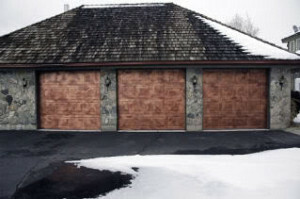 This not only gives a distinctive vintage appearance, but also actually serves to protect the copper garage doors. 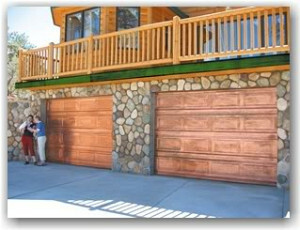 See the last image below for an example of the changing color of copper on a garage door. 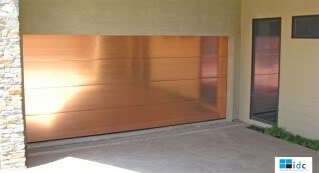 The one disadvantage of copper garage doors is that they are rather pricey compared to other materials. 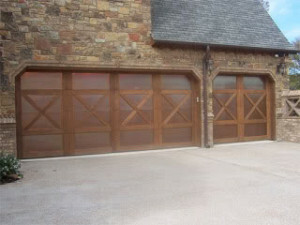 However, the higher cost to install these garage doors is offset by their low maintenance and long life. 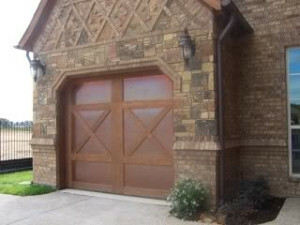 Hill Country Garage Doors provides several types of copper garage doors as pictured above including Flush Copper Clad Garage Doors; Copper Clad Garage Doors with Cedar Design Overlay; and Close up of cedar design overlay.